Under Head Coach Ryan Wiggins, St. Francis DeSales has had 40 players compete collegiately at the Division-I FBS / FCS level. For the complete list of players, click here. Bill Schwartz '83- "Where Are They Now"
The 9th edition of the "Where Are They Now?" series in 2018 is Bill Schwartz ‘83! Bill was the starting quarterback on the 1982 Central Catholic League Championship team and earned All-CCL honors. Adam Rader '96- "Where Are They Now"
The 8th edition of the "Where Are They Now?" series in 2018 is Adam Rader ‘96! 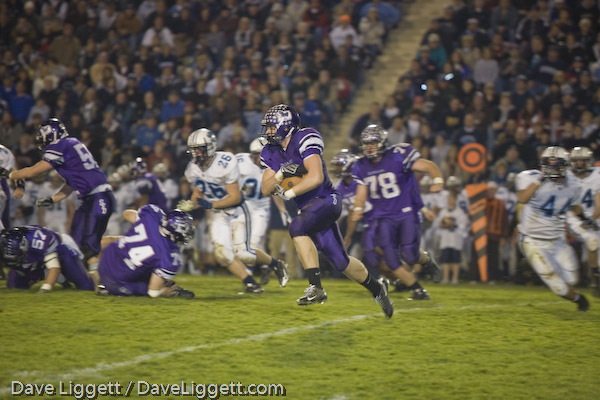 Adam was a First Team All-Ohio Linebacker on a Stallion Defense that allowed only 33 points in the 1995 regular season. Rader was also recognized as the Central District Defensive Player of the year for the Stallions, who went undefeated in the regular season for the second consecutive season. These days, Adam resides in Lexington, Kentucky with his family and is a Detective for the Lexington Police Department. DeSales improved to 5-2 overall with a 33-15 win over Terre Haute North Vigo (IN). 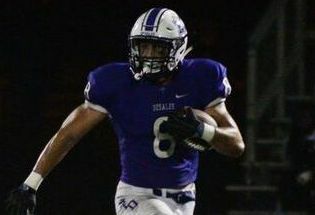 Joey Velazquez led the Stallions with three rushing touchdowns and 140 yards as the Purple and White moved to 3-1 all-time against teams from Indiana. Junior running back Jaylen Ball rushed for a career-high 82 yards and opened the scoring for the Stallions with a 34-yard run, which was set up by a Carter Hilleary interception. The DeSales defense held the Patriots to 79 yards rushing on 30 carries (2.6 per) and scored on an interception return by Barron Froehlich. Nick Magistrale '92 - "Where Are They Now"
The 7th edition of the "Where Are They Now?" series in 2018 is Nick Magistrale ‘92! Nick was a First Team All-Ohio selection as a senior on the 1991 State Semifinalists. 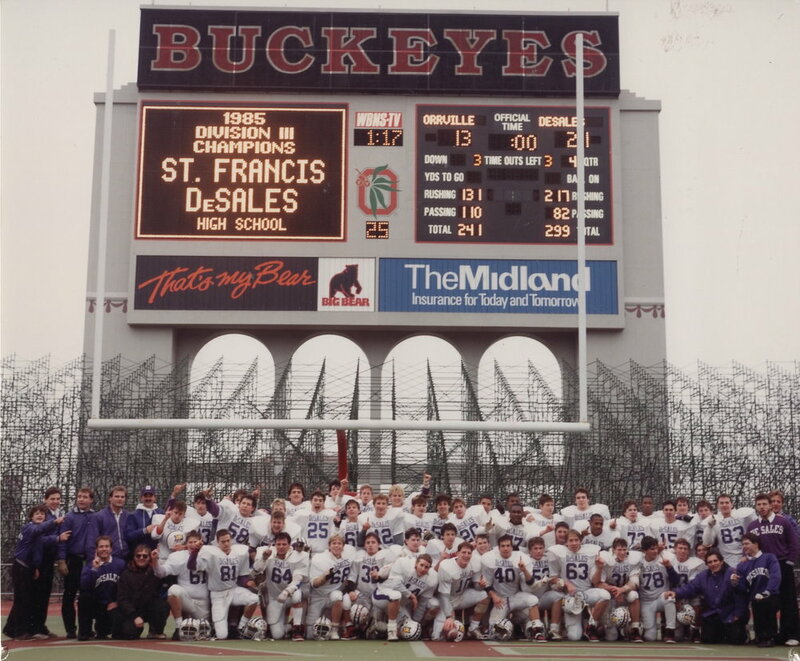 On the 1991 team, that won their second straight Regional Championship, Nick totaled 961 yards and recorded seven interceptions for the 9-4 Stallions. Nick is in his 19th year as an Athletic Director and is currently at Dublin Scioto High School. Stafford, a starting receiver for Edmonton, made four receptions for 35 yards in his team’s 28-15 loss to Ottawa on Saturday (9/22). For the season, the 6-foot-3, 204 pounder is tied for second on his team with 51 receptions and is third with 722 receiving yards. His 51 catches ranks him 10th in all of the CFL and he’s 11th in receiving yards. Stafford is set to play in game number 60 in his CFL career, this Saturday against Winnipeg. Now in his sixth season, the former Stallion has tallied over 2,200 yards receiving with 16 touchdowns. He’s in his second stint with Edmonton, but Stafford was a part of a Grey Cup Championship team in 2016. The Stallions outscored St. Charles 28-0 in the second half en route to a 35-7 victory and improved to 4-2 overall and opened up CCL play at 1-0. Sophomore running back Quintell Quinn led DeSales with a career-high 139 yards (on 10 carries) and Joey Velazquez added 120 yards (on 13 carries) as the Stallions out-gained the Cardinals 366-116. Velazquez and Quinn each had two scores. 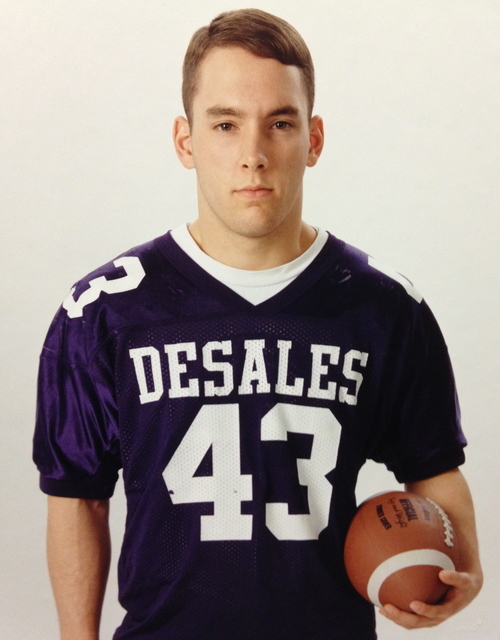 DeSales junior Owen Faulkner caught a 21-yard touchdown pass from Velazquez and recovered a kickoff. The Stallions overcame six turnovers for their fifth straight win over the Cardinals and 41st overall, in 42 games. Austin Addington-Strapp '04 - "Where Are They Now"
The 6th edition of the "Where Are They Now?" series in 2018 is Austin Addington-Strapp ‘04! Austin was named Second Team All-Ohio as a senior on the 2003 Regional Finalists. He was a member of three Stallion teams that made Regional Championship game appearances, including his sophomore year, when he started at inside linebacker on the 2001 State Runner-up team. These days, Austin serves as a Strength and Conditioning Football Coach at University of Pittsburgh. Sanders, a senior defensive back for the Crusaders, made seven tackles, had two pass break-ups, and blocked an extra point in last Saturday’s (9/15) 44-40 loss to Heidelberg. 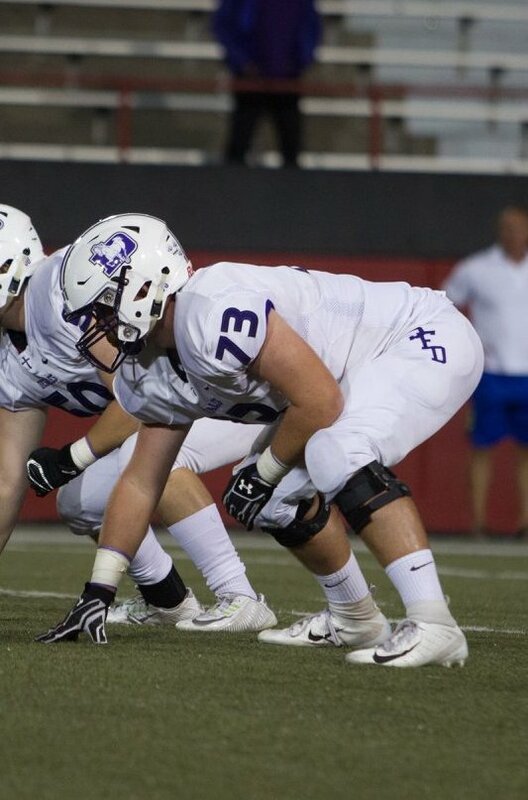 For the season, the 6-foot-1, 190 pounder, has made 11 tackles in 3 games played for Capital. For his career, the former Stallion, has appeared in 23 games, recorded 99 tackles and intercepted 3 passes, to go along with 17 pass break-ups. Last season, Sanders earned Honorable Mention All-Ohio Athletic Conference honors after tallying 51 tackles and leading the team with 11 passes broken up. 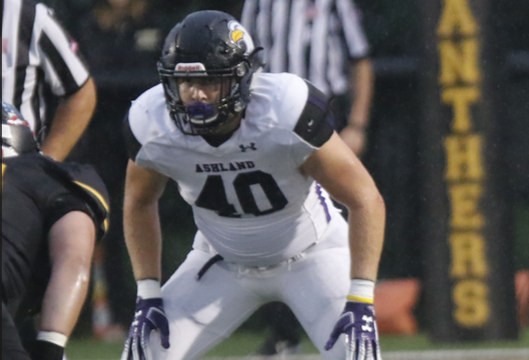 CORKREAN, A STARTING LINEBACKER, RECORDED A CAREER-HIGH 8 TACKLES IN A 24-17 LOSS AT OHIO DOMINICAN ON SATURDAY NIGHT IN A MATCHUP BETWEEN TWO TOP 20 DIVISION-II TEAMS. FOR THE SEASON, THE 6-FOOT-2, 236 POUNDER, HAS RECORDED 11 TACKLES, ONE FOR A LOSS, WITH A PASS BREAKUP FOR THE EAGLES, WHO HAVE SUFFERED TWO CLOSE LOSSES TO TWO NATIONALLY RANKED TEAMS. LAST YEAR, THE FORMER STALLION, MADE 35 STOPS FOR THE 11-2 NCAA REGION 3 SEMIFINALIST EAGLES. The Stallions improve to 3-1 after a 50-6 win against 2017 playoff team Dayton Belmont. Quarterback Reno Godfrey threw for three scores and rushed for another as Ryan Wiggins won his 100th game as Head Coach of his alma mater. Anthony Sciarroni (receiving) and Joey Velazquez (rushing) added two scores for the Purple and White. Dante Fuller also recovered a fumble for a touchdown and Owen Faulkner caught a 20-yard pass for a score. 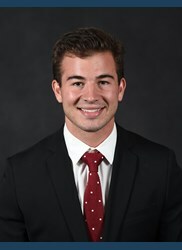 YINGER, A REDSHIRT SENIOR STARTING RUNNING BACK, HAD 11 CARRIES FOR 139 YARDS AND A TOUCHDOWN IN HIS TEAM’S 49-28 WIN LAST SATURDAY (9/2) AGAINST ROBERT MORRIS. THE 6-FOOT 193 POUNDER WAS A PRESEASON ALL PIONEER FOOTBALL LEAGUE SELECTION AND EARNED FIRST TEAM HONORS A SEASON AGO AFTER RUSHING FOR 1,088 YARDS WITH 4 TOUCHDOWNS. FOR HIS CAREER, THE FORMER STALLION HAS APPEARED IN 30 GAMES AND HAS ACCOUNTED FOR 2,555 YARDS AND 30 TOUCHDOWNS. A STANDOUT ON THE FIELD, YINGER IS ALSO AN OUTSTANDING STUDENT, EARNING COSIDA FIRST TEAM ACADEMIC ALL-AMERICAN HONORS, IN ADDITION TO, BEING RECOGNIZED AS AN ACADEMIC ALL-LEAGUE SELECTION IN EACH OF HIS FOUR SEASONS ALREADY.